So, I got all Martha Stewart on this here holiday. 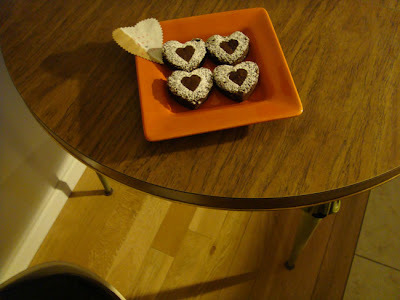 Let it be known that I behaved myself and had only two of the brownies I made. I wish everyone a wonderful Valentine's Day! Do something good for yourself today. You deserve it! BIG love, Annick.